Pale straw green color. Fruity aromas and flavors of tropical fruit salad and grapefruit custard with a silky, crisp, fruity medium body and an effortless, refreshing, medium-long finish revealing touches of green apple, spiced melon, and salted lemon with fine, fruit tannins and no oak flavor. A tasty, affable sauvignon blanc with fine fruit and balance. Bottom Line: A tasty, affable sauvignon blanc with fine fruit and balance. Sauvignon Blanc is a bit of a chameleon of a variety, as it changes its character depending on where it is grown. Most famously in France’s Loire Valley, (especially in Pouilly-Fumé and Sancerre), it is a rich dry white with distinct herbal notes in the nose and on the palate. In New Zealand, the flavors range from gooseberry to tropical; both styles have very good natural acidity. Certain areas in Chile also produce very tropical-driven examples with a touch of herbal character, while the typical California style is clean with melon and spearmint fruit with only traces of herbal notes. 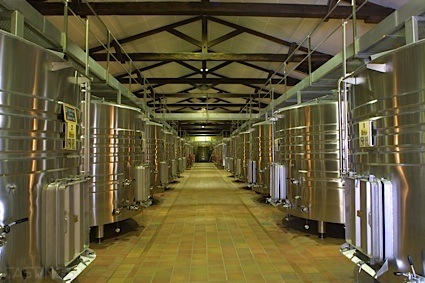 Many styles of Sauvignon Blanc – especially those from New Zealand – are aged in steel tanks to preserve the aromatic qualities, while some producers in Sancerre or even in California age in wooden barrels; this for added texture and spice. Medium-full in body, Sauvignon Blanc is especially excellent paired with shellfish or seafood or lighter poultry with herbs. 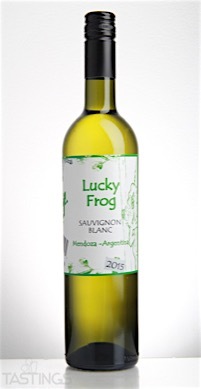 Lucky Frog 2015 Sauvignon Blanc, Mendoza rating was calculated by tastings.com to be 92 points out of 100 on 1/30/2017. Please note that MSRP may have changed since the date of our review.